We all want to integrate sound into our homes because it’s the where we relax, unwind, and make memories with loved ones. To create a desirable living space, you must think about the overall goal. Is this a space to entertain family and friends? Is this a bedroom to watch a favorite late night TV show? Perhaps an outdoor patio area to grill and jam to the perfect playlist? Once the goal is established for the room, it’s time to consider these factors: room size, furniture, decor, color, and your personal sense of style. While some might prefer to make a bold statement, others may want something simple, clean, and understated. 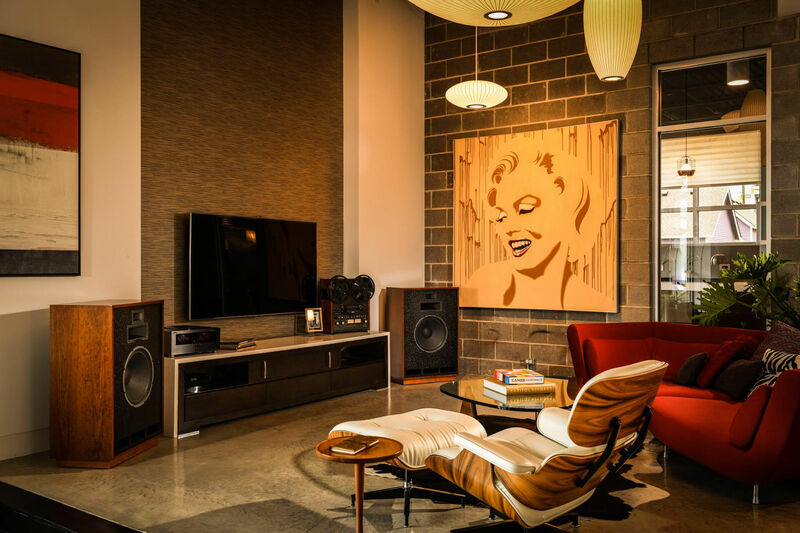 The great thing about Klipsch speakers is their ability to seamlessly integrate into your lifestyle and decor. The easiest way to make your speakers feel like part of the room is to literally make them part of the room. Klipsch has a wide-range of in-wall and in-ceiling speakers that do not require an inch of floor space. In addition, the speaker grilles are all completely paintable to match your favorite wall color. And remember - you don’t need to sacrifice quality. Klipsch speaker options range from the affordable signature Reference series all the way to THX Ultra2 certified. Speakers can tend to look like black boxes, and oftentimes, that’s exactly what they are. But in our world, speakers are not confined to one color. Prefer warmer tones to match your furniture? Klipsch builds traditional loudspeakers in a variety of wood veneer finishes to match any furniture, such as California Black Walnut, Cherry, Distressed Oak, etc. Can’t find the speakers in the finish you want? Paint them. Klipsch outdoor speakers are designed to be painted to match your home’s exterior. Once that’s done, you’ll be surprised how quickly they disappear.